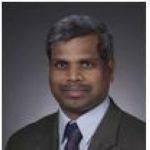 Dr. Manimaran Govindarasu is a Professor in the Department of Electrical and Computer Engineering at Iowa State University. His research expertise is in the areas of cyber security of smart grid, cyber security, and real-time systems. He has co-authored over 125 peer-reviewed publications in these areas. He is a co-author of the text “Resource Management in Real-Time Systems and Networks,” MIT Press, 2001. He has given tutorials in reputed conferences and delivered industry short courses on the subject of cyber security. He has served in leadership roles in many IEEE conferences, symposiums, and workshops. He had contributed to the US DoE NASPInet specification project. He serves on the editorial board of IEEE Transactions on Smart Grid and is a co-editor of the upcoming IEEE Power & Energy special issue (in 2012) on smart grid cyber security, and serves as the Chair of Cyber Security Task Force at IEEE PES Society PSACE-CAMS Subcommittee.